The Consortium is run by campus sustainability champions at higher ed institutions throughout the St. Louis area with support from a second tier of agencies, businesses and nonprofits. Big plans these days for STL-HESC include forging stronger connections with "Tier II" agencies and businesses and partnering more closely with the St Louis Regional Chamber, as well as continuing initiatives with the online course directories, green living guide and other competitions. STL-HESC holds quarterly General Assembly meetings and Steering Committee meetings, and bi-monthly Coffee Talks. Quarterly meetings have been decided upon for this school year based on current projects and initiatives with the intent of staying relevant and supporting the work already being done on our local campuses, so come join us at one—chances are, you'll find we've been talking about and tackling some of the same sustainability issues you're working on at your school! Stay connected with the Consortium with the Campus Sustainability Newsletter. Published quarterly, this newsletter updates campuses on higher education sustainability topics around the region. The newsletter updates campuses on options to improve campus recycling programs, composting in dining services, green purchasing policies and more! Get up to date with this quarter's newsletter. The Consortium hosts quarterly meetings which serve as an opportunity to gather with fellow sustainability champions on campuses across the region. Past topics of discussion have included Consortium engagement with the Association for the Advancement of Sustainability in Higher Education, networking with the Illinois Green Economy Network, green building and purchasing, and regional participation in Recyclemania. Participating representatives are highly advised to consider inviting other colleagues to carpool and tag along to these meetings; the specific topics are chosen with the intent of encouraging participation from across the various disciplines and sectors of school structures. Every semester, campus representatives get together for an informal Coffee Talk series to share ideas and experiences about a specific campus related topic. Past topics have included energy, curriculum, freshman orientation and move-out, etc. If you'd like to find out about the next event and or have an idea for a possible topic, please email Simon Warren at simon.warren@mobot.org. 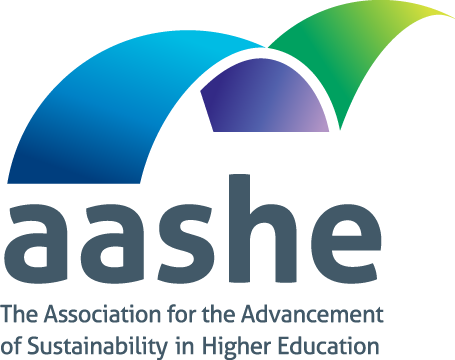 STL-HESC is proud to announce its acceptance as an AASHE affiliate. Join STL-HESC in the 2017 Battle for the Boot as we collect used shoes to fund the Shoeman Water Project! Recyclemania 2017 kicks off January 22. Click here to register your campus.